A.W.T. Rack-It Heavy-Duty Drying Racks have been manufactured for over thirty-years for use in the industrial and educational industries. Steel bumpers are featured because they outlast rubber and the bumpers are welded to the outside of the shelf. 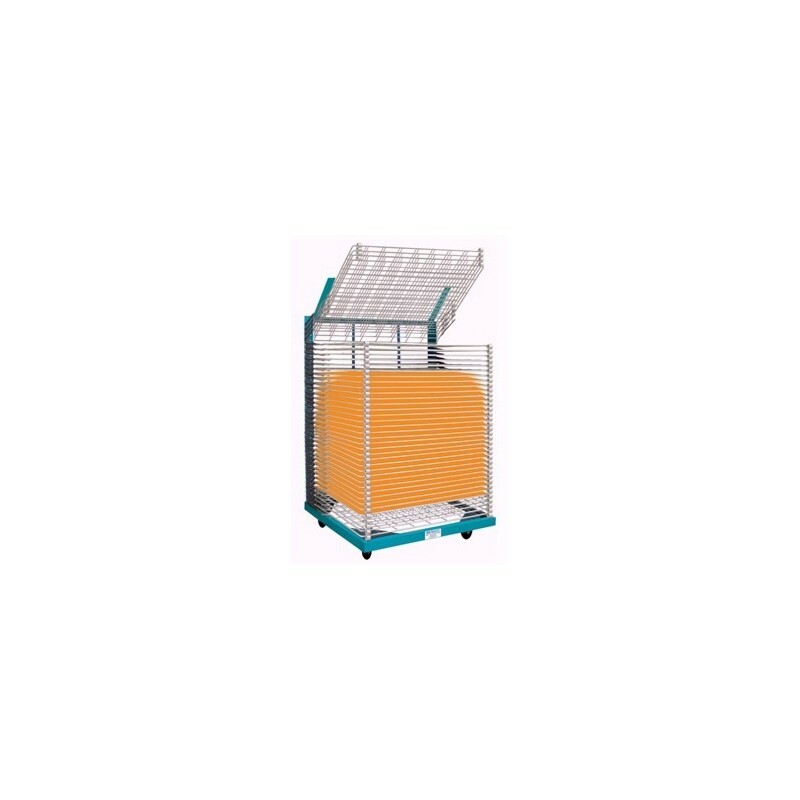 This feature permits drying utilization of the full shelf size. Each shelf spring is individually adjustable to control the up/down tension operation. The powder coated shelf finish is rust and solvent resistant for a long service life. The shelves are spaced at 1" intervals to maximize solvent evaporation. Models are available where 2 spacing is required and so are heat resistant models for oven applications. Please inquire. 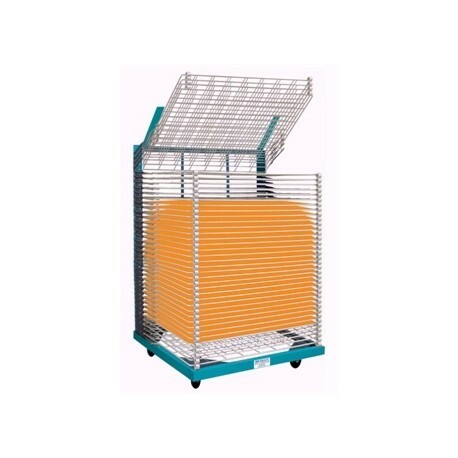 Note: All racks are designed for every shelf to be utilized however, if unusually heavy substrates will be used, please call for total shelf weight limitations. For Example: E410-017 and E410-018 the manufacturer suggest a maximimum weight per shelf of approximately 8 pounds. Sheet Sizes Up To 52" x 80"